Environmental and climate activists, including cities pursuing climate lawsuits against oil companies, almost never acknowledge those benefits, which are far-reaching and indisputable. We can only hope attorneys Anne Champion, Philip Curtis, Diehl Kemper, et al. and friends of the court will do justice to the many blessings attributable to our use of these once unimaginable energy resources. For countless millennia, our ancestors struggled to survive amid deprivation and backbreaking dusk-to-dawn labor, often on the brink of starvation – with the bulk of humanity living little better than their domesticated animals. Average nasty, brutish and short life expectancy hovered in the low thirties. But then, suddenly and miraculously, in barely two centuries, health, prosperity and longevity began to climb. First coal, then oil, then natural gas paved the way, providing the fuels for transportation, communication, refrigeration, electricity and other incredible technologies that improve, enhance, safeguard and save lives. Incomes increased eleven-fold. Mass die-offs so confidently predicted by Malthus and Ehrlich never materialized. In fact, global life spans more than doubled, and today billions of people enjoy living standards that even kings and queens could not dream of 120 years ago. Sadly, equal numbers of people still struggle on the edge of survival. A billion and a half are still without electricity, two billion still exist on a few dollars a day, and millions still die every year from insect-borne, lung and intestinal diseases – largely because they still burn wood and dung, instead of fossil fuels. In 1900, New York City’s 3.4 million people relied on 100,000 horses whose “tailpipes” emitted 2.5 million pounds of manure and 60,000 gallons of urine every day. Sanitation crews cleaned it up, dumped it mostly in local rivers, and hauled dead horses to rendering plants. Farmers devoted thousands of acres just to growing horse feed. Imagine what today’s 8.6 million NYC residents would require and emit. Today, far more powerful, far less polluting, trucks, cars, buses, trains, subways and airplanes move people, food and products far more quickly and efficiently. They take us to work, school and worship services; to the grocery, bank, drug store, doctor and restaurant; to movies, picnics and sporting events. Fire trucks help us battle devastating conflagrations, and ambulances take our injured to hospitals. All these vehicles (internal combustion and electric) exist because of, are fueled by – and travel on roadways made with fossil fuels: asphalt from oil, metal and concrete manufactured using fossil fuels. Even electric cars require oil, gas and coal for manufacturing and recharging. Indeed, the earth-moving machines, drilling rigs and production platforms, pipelines, foundries, factories and other technologies needed to extract, process and fabricate raw materials into the world around us exist because of fossil fuels. Every bit of metal, plastic, concrete, wood, fabric and food we see results from fossil fuels. Even wind turbines, solar panels and biofuels are impossible without the fuels that California so loves to hate. Medical devices, computers, cell phones, radios and televisions, kitchen appliances, household and office heating and air conditioning, millions of other products of every description require fossil fuels for their components, manufacturing and daily operation. The schools and research laboratories that made our amazing technologies and other advancements possible are themselves made possible by fossil fuels. The modern agricultural equipment and practices that feed the world share the same ancestry: tractor and harvester fuel, ammonia fertilizer from natural gas, pesticides and herbicides from petrochemicals. Carbon dioxide from burning these fuels helps crop, forage, forest and grassland plants grow faster and better, with less water and better resistance to droughts and diseases. Our bounteous grain and other crops mean fewer famines, except where forced starvation is used to subdue and eliminate enemies. Indeed, between 1961 and 2011, the total monetary value of CO2 enhancement for 45 crops reached an estimated cumulative value of $3.2 trillion! 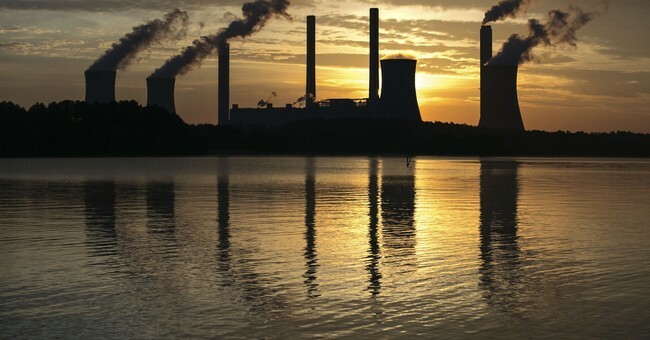 Carbon dioxide’s annual enrichment value rose from $19 billion in 1961 to $140 billion in 2010. Between 2012 and 2050, these benefits will total $9.8 trillion! Pharmaceutical and cosmetic products all have their roots in petrochemicals – as do paints, synthetic fibers and plastics. Hockey and football players are dressed head to toe in fossil-fuel-sourced materials. High-rise office and residential buildings made possible by steel and concrete allow our cities to grow upward, instead of just outward, preserving millions of acres of wildlife habitats and scenic areas. Then there’s electricity. Look around you, and try to imagine your life without this wondrous, pervasive energy source. Electricity was properly ranked humanity’s second most significant innovation of the past 6,000 years, after the printing press! It has created, shaped, defined and powered the modern world, and facilitated virtually every technological achievement of the past century. Electrification of nations is undeniably the world’s most significant engineering and life-enhancing achievement of the past century. Economic growth, quality of life and longevity are directly correlated to sufficient, reliable, affordable electricity. In today’s world, nothing happens without it: communication, transportation and research; the operation of every home, office, hospital, factory and airport; refrigeration to preserve food and medicine; heating and air conditioning to save lives and enable people to survive and prosper in any climate. Electrification will be increasingly important in the 21st century, and world electricity consumption is forecast to double within four decades, as electricity supplies an increasing share of the world’s ever-increasing energy demand. Fossil fuels will continue generating at least 75% of electricity, even in 2050. Hydroelectric and nuclear (which radical environmentalists also despise and oppose), a bit of geothermal, and a smattering of unreliable, weather-determined wind and solar power will supply the rest. The land, resource and environmental impacts of building and operating wind and solar must also be considered. Social media and internet search engines (to run biased searches for alarmist climate news) also depend on electricity – 91.4% of which was generated by fossil fuels, nuclear and hydro in 2016 in the USA. Increased productivity generated by all these technologies creates the leisure time and wealth that enable everyone to enjoy evenings, weekends and holidays – and the fossil fuel transportation to go places (including to faraway, exotic locales and 5-star hotels for IPCC climate change confabs). Finally, aside from nuclear-powered ships, our highly mechanized military gets there “the fastest with the mostest” thanks to fossil fuels, to combat terrorism and provide for our national defense. Judge Alsup’s case is thus really about highly speculative manmade climate disasters versus indisputable fossil fuel benefits – as further documented here, here, here, here, here, here, here, here and elsewhere. Indeed, today’s undeniable fossil fuel benefits outweigh any hypothesized climate, sea level and other costs by literally orders of magnitude: at least 50:1 to more than 200:1. Barring major efficiency, battery storage and other technology improvements, renewable energy cannot possibly replace fossil fuels. Judge Alsup has no choice but to rule in favor of the oil company defendants … and all who rely on oil, gas and coal for the countless, life-enhancing benefits barely touched on here. Paul Driessen is senior policy analyst for the Committee For A Constructive Tomorrow and author of articles and books on energy, climate change, carbon dioxide and economic development. Roger Bezdek is an internationally recognized energy analyst and president of Management Information Services, Inc.